The second ALACI cohort was comprised of 12 arts leaders of color from New York City. It ran from January 2016 to June 2017. In a time of great uncertainty and shifting demographics, the work of arts leadership pivots crucially around the ability to adapt to complex and changing circumstances, and the ability to reflect and fully engage the communities that arts leaders serve. Additionally, leaders of color continue to experience challenges in accessing leadership opportunities. If the field is to thrive in the future, the pipeline of talent needs to be urgently diversified, and systems of leadership development need to built for greater equity and inclusion. On the heels of New York Department of Cultural Affairs (DCA) research and survey results that show that New York’s cultural institutions lack the diversity of our city, EmcArts designed Round 2 of the ALACI program as an important opportunity for diversifying the talent pipeline in our sector. 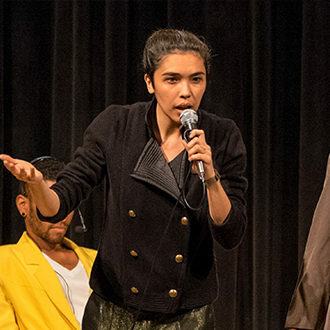 EmcArts realizes that our arts field is stubbornly mono-cultural, with leaders of color experiencing additional barriers in gaining access to mentorship, professional support, visibility and resources. The New York City cohort of the Arts Leaders as Cultural Innovators was intended to help address this gap. 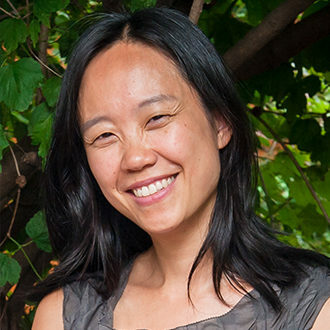 Peggy H. Cheng is the Director of Development at Danspace Project where she has been on staff since 2000. During Peggy’s tenure the organization has undergone a successful leadership transition, and launched several new initiatives including the Choreographic Center Without Walls, its PLATFORM programs, and a partnership with Wesleyan University’s Institute for Curatorial Practice in Performance. She has served on funding panels for the Lower Manhattan Cultural Council, NYC Dept. of Cultural Affairs, and New York State Council on the Arts, as well as on selection panels for Newsteps (Chen Dance Center), Fresh Tracks (New York Live Arts), and curated Food for Thought (Danspace Project) programs. She received a B.A. from Vassar College (Dept. of English), a M.A. in Dance & Dance Education from the NYU Steinhardt School, and from 1994-2000 taught in a variety of educational dance and theater programs for children and youth. 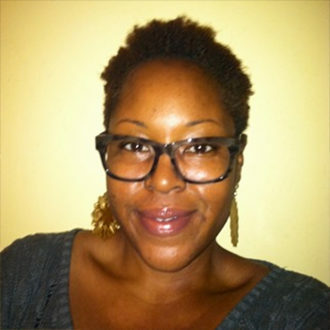 Toya joined viBe as its Executive Director in January 2012, bringing more than 15 years of experience in arts education. She has directed plays, developed curricula, led advocacy efforts and implemented innovative teaching artist training programs both in and out of our city’s schools. 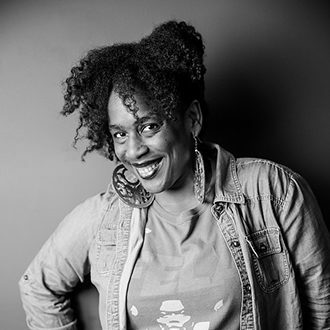 As a theater teaching artist, Toya has worked extensively and passionately with teenage girls in New York City. Toya is a native Houstonian from an artistic family who grew up with both theater and music. After graduating from Houston’s prestigious High School for Performing and Visual Arts, Toya attended Vassar College and further developed her interest in arts education, particularly in the use of theatre to help youth address issues relevant to their personal and civic development. Prior to joining viBe, Toya served as Director of School Programs for The New York Philharmonic’s Education Department, where she helped to develop its nationally recognized School Partnership Program. In addition to leading viBe, Toya is also an adjunct professor at CUNY CityTech, where she teaches Black Theater. Toya holds a B.A. from Vassar College, and an M.A. from New York University’s Gallatin School of Individualized Study. 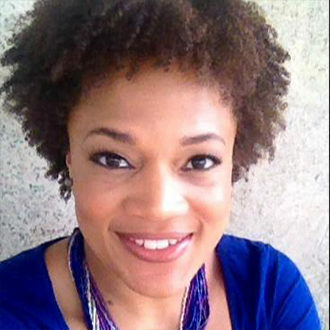 Robyne Walker Murphy is the Director of Membership Development and Engagement at the National Guild for Community Arts Education where she develops, prioritizes, and implements plans for membership recruitment, retention, and engagement. She began her post in April 2015. Prior to the Guild, she served as the Director of the DreamYard Art Center for seven years. During that time she helped lead the organization through the development of arts and social justice programming and community engagement initiatives at the DreamYard Art Center, located in the Morrisania section of the Bronx. Robyne oversaw the expansion of program offerings from three programs serving high school students to 16 programs multi-discipliinary art and college readiness programs for young people in grades PreK-12. Under her direction, DreamYard Art Center was recognized by the White House as one of the top 12 out of school programs in the nation. Robyne accepted the awar d from First Lady Michelle Obama at a White House ceremony. She created and co developed the Social Justice Pedagogy Team, a professional development series aimed at establishing important tenets of social justice education; creating common language across programs; exploring best practices and learning from veteran social justice educators. Robyne has conducted workshops about art and social justice at conferences and institutions across the country. Robyne is a graduate of Clark Atlanta University where she majored in English with an emphasis in African American Literature. She obtained her MFA in Acting from the University of Washington’s Professional Actor Training Program. She resides in Brooklyn, New York with her husband, Tarik Murphy and her son, Ras. 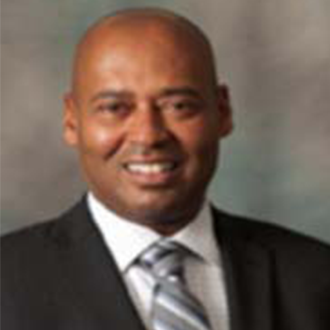 Gary Padmore joined the team at Orchestra of St. Luke’s, and is responsible for developing and overseeing its education and community programs, partnerships, and performances. His broad experiences have led him to schools and community organizations throughout the five boroughs and Long Island. As an administrator, he has worked to deepen partnerships to ensure sustainable and high-quality music based programs. Before OSL, he served as Associate Director of Programs at Midori & Friends, providing skill-based music instruction and enrichment programs throughout New York City. Padmore previously held the position of Interim Education Director for Brooklyn Philharmonic, was a teaching artist at Queens Museum, American Composers Orchestra and Police Athletic League, and was an adjunct lecturer at Queens College. A trumpet player and native New Yorker, Padmore has a bachelor’s degree in music from Queens College, a master’s degre e from Mannes College, and an advanced certificate in music education from Queens College. Sophie Nimmannit is a Theatre of the Oppressed Joker and Program & Operations Director at Theatre of the Oppressed NYC (TONYC). They began working with TONYC in 2011, and have facilitated Forum Theatre Troupes at the Ali Forney Center, Staten Island Youth Justice Center and Housing Works, as well as workshops in TO. Sophie has been a Brooklyn-based theater artist and physical theater performer since 2003, focused on ensemble-devised original works, and occasionally playing with puppets. Priya Sircar first took the stage at age three and has crafted a life in the arts ever since—as a producer, performer and administrator. As a senior consultant with Lord Cultural Resources, Priya has managed planning processes engaging cultural, business, education and civic leaders, as well as hundreds of everyday citizens, in developing plans that aim to achieve each community’s or organization’s cultural goals and potential. Priya has worked with the City of Chicago, Wyoming PBS, Houston’s Memorial Park, Boston Jewish Film Festival, Artpace/Linda Pace Foundation, New York Public Library/Schomburg Center for Research in Black Culture, Norfolk Botanical Garden, Fort Monroe, The Blanton Museum of Art/The University of Texas, and Brooklyn’s Billy & Company among others. Priya’s experience as a practicing artist informs every project. A dancer-choreographer, actor and former musician, Priya has founded dance troupes, performed around the U.S. and directed movement for the theatre in New York. Her speaking engagements include MuseumNext, World Architecture Day, the annual conferences of the Association of Performing Arts Presenters (APAP) and American Alliance of Museums (AAM). She also has produced narrative and documentary shorts that have screened around the country, including at SXSW. Previously, as a grantmaker at the global public health organization the Lance Armstrong Foundation (now LIVESTRONG), Priya managed the provision of community- and capacity-building funding and services to organizations throughout the U.S. Priya started there in development, liaising with donors, cultivating prospective donors and helping to establish the Founder’s Circle. Priya holds a M.A. in Arts Administration from Columbia University and a B.A. in the interdisciplinary Plan II Honors Program at The University of Texas. 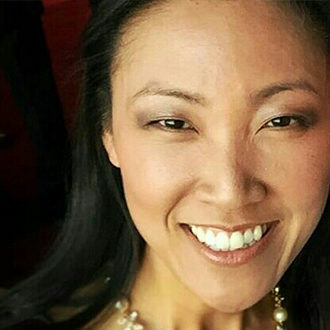 As Director of Strategic Initiatives, Mi Ryung Song is responsible for artistic programs, constituent relations, Knowledge Center activities, and special projects at the League of American Orchestras. She also serves on the board of Decoda, an innovative chamber ensemble based in New York City and has previously held positions in fundraising at the San Francisco Symphony and Orpheus Chamber Orchestra, artistic administration at the New York City Opera, and community engagement at The Juilliard School. As a League Orchestra Management Fellow, she managed marketing, operations, auditions, and special projects for The Cleveland Orchestra, Pacific Symphony, Baton Rouge Symphony, and the Aspen Music Festival and School. Mi Ryung is a lifelong tennis player, amateur rock climber, and performing arts omnivore. She earned her B.M. in flute performance at the San Francisco Conservatory of Music. Meredith Suttles is a graduate of the University of Michigan (Ann Arbor), professional performing artist and currently serves as the Institutional Giving Officer at Theatre Communications Group (TCG) in New York City. Meredith has an extensive combined 10+ year background in Creative and Performing Arts in the areas of performance, development, planning, and fundraising. She joined TCG in 2013 and is responsible for managing TCG’s fundraising and relationships with foundations, corporations, and government entities. Prior to her role at TCG, Meredith served as the Director of Institutional Giving for the New York City Opera. 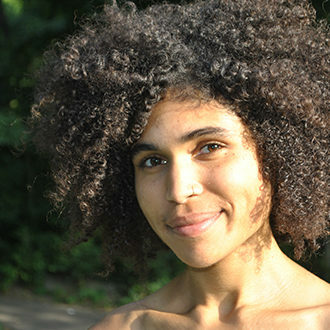 Kirya Traber is a nationally awarded writer, performer, cultural worker. She received her MFA in Acting from the School of Drama at the New School College of Performing Arts. 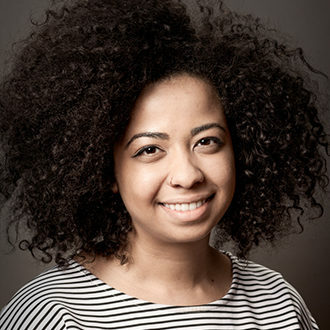 Kirya currently works as a Faculty Coordinator at the School of Drama, is the resident Process Mentor for, Naked Angels’ Issues Project Lab, and is an Artist-in-Residence with, Lincoln Center Education’s Shelter Programs. 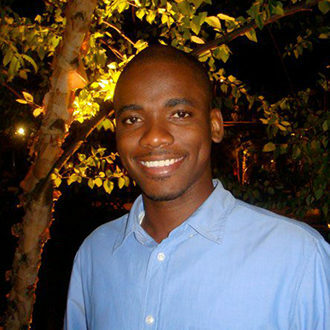 Kirya is the recipient of the California Governor’s Award for Excellence in the Arts, Robert Redford’s Sundance foundation award for Activism in the Arts, Congresswoman Barbara Lee’s Certificate of Recognition, an Astrea Lesbian Writers Fund award for Poetry, and is a former judge for the LAMBDA Literary awards in LGBT Drama. Kirya is an alumnus of the 2010 VONA/Voices retreat for writers of color, and the 2012 EmergeNYC intensive at the Hemispheric Institute, was a 2014 Space Grantee at Brooklyn Arts Exchange, and is an alumnu s of Urban Bush Women’s 2015 Summer Leadership Institute. Kirya has toured the United States and Canada as a poet and solo performance artist, and her written work can be found in the pages of, Other Tongues, an anthology by Inana Press, and in her 2009 chapbook, black chick. She has worked as an arts educator with youth and adults, in school and community based settings, and within the juvenile justice system. With over 15 years of experience as a teaching artist and as an arts administrator, Brandon Vazquez brings a unique combination of experience to Bloomingdale School of Music. The son of blue collar parents and an alumnus of Bloomingdale, Mr. Vazquez learned about the value of financial aid, as he himself was the beneficiary of such aid in his study of music. 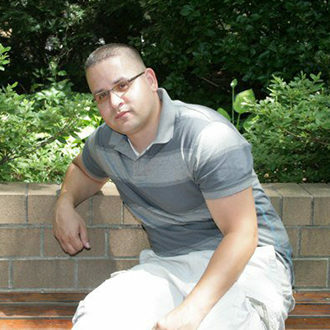 Mr. Vazquez, who began playing the trumpet at age twelve, attended LaGuardia High School of Music and Art while also furthering his musical studies at the Juilliard School, Bloomingdale School of Music, and at Queens College. At Hunter College, where he received his Bachelor of Arts degree in Music, Mr. Vazquez pursued a diverse path of study ranging from jazz history, jazz theory, and performance to astronomy, geography, and philosophy. An alumnus of Bloomingdale’s Music Access Project (MAP), Mr. Vazquez returned to the school as the Director of MAP and Concert Manager in 2001, teaching music theory, coaching chamber music, advising students, and managing all faculty concerts. Mr. Vazquez was promoted soon after to Development Associate in 2005 and eventually to Director of Development is 2008 where he was responsible for leading Bloomingdale School of Music’s advancement program and for developing and maintaining active and productive relationships with board members, donors, and administration. Most recently Mr. Vazquez was promoted to Assistant Director in 2013. Maura Cuffie, Operations and Programs Coordinator, EmcArts Maura Cuffie is a new New Yorker committed to understanding and exploring change processes in various forms. Her study of sociology, images, and identity politics in Philadelphia led her to the non-profit arts field. Before joining the team at EmcArts, she worked with the City of Philadelphia Mural Arts Program where she developed a deep desire to work in the intersection of social change and the arts. She carries out multi-disciplinary, socially-engaged and dialogic practices through The Free Breakfast Program, an arts organization that is informed by the Black Panthers’ legacy of revolutionary humanism. She is was a 2015 Create Change Fellow with The Laundromat Project. 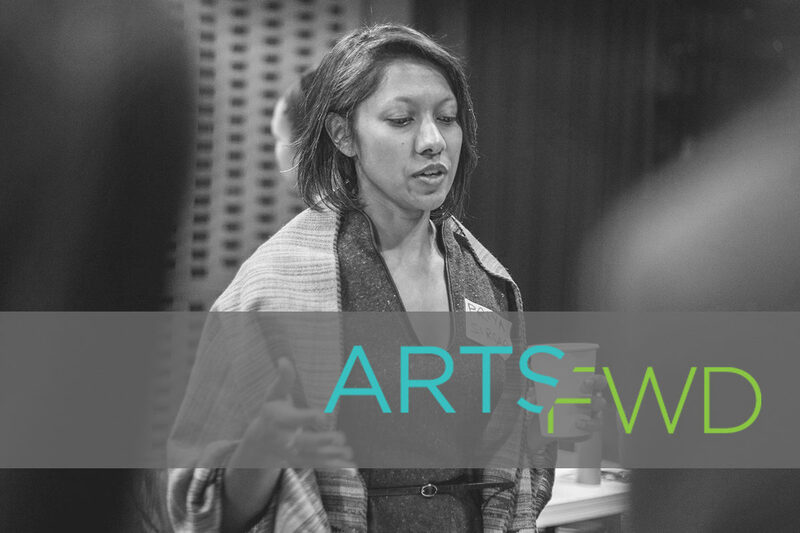 In the fall of 2013, she began working with EmcArts to support the implementation of our first National Innovation Summit for Arts and Culture. She now coordinates all office operations including finance, human resources, and office management and serves as a direct support to Managing Director, Melissa Dibble. At EmcArts, Maura is able to feed her desires to learn about change-making in action and to support and leverage the strengths of her team for innovation and adaptive change. Craig Coble is an experienced facilitator, Leadership Development Specialist, and executive coach with over 20 years of experience. In 2000 Craig started Coble Consulting Inc. specializing in individual and organizational development. Currently Craig is a lead facilitator for several Leadership Development Program and administers several workshops on through the lens of the Psychology of Decision Making, Aspiring Leaders and Emotional Intelligence, Effective Communication, Conflict Resolution for several government agencies throughout the United States and internationally. His clients include, The United Nations, Associated Press, Department of Commerce, DISA, DFAS, NIH, Citi, The Washington Post, Department of Justice, FCC, DHS, NASA & NOAA, World Bank, United Nations, WWF, U.S. Merit System Protection Board, Louisiana Primary Care Association, Industrial Bank of Washington, and other financial and non profit institutions. One of Craig’s defining traits is his wisdom and passion. Not only for his subject matter and his work, but also for each participant that experiences his workshops. Since college Craig has chosen the path of entrepreneur. He brought his first investment property when is was 20 year old and continues to invest in real estate in Washington DC. In 1993 Craig founded Ex’s Inc., a greeting card company for ex-relationships. With articles in The Washington Post and several magazines, and appearances on the Maury Povich show, The Today Show and Good Morning America, Ex’s has grown to 38 states, Canada and the Caribbean. In 1982 under Vice President Bush, Craig helped rewrite section 504 of the Civil Rights Act to address Civil Rights for Disabled People. He also organized all of the special interest and lobby groups for the disabled and compiled their recommended rewrites for implementation. Craig is a qualified administrator of a number of psychological and personality assessments, as well as 360-degree feedback instruments, including MBTI, DiSC, FiRO, Booth 360, Richard Barrett Cultural Transformational Tools, Emotional Intelligence, Achieve Global Leadership and Customer Service tools, and The Leadership Circle. Craig has also been a certified and practicing Action Learning coach through WIAL since 2009. Craig received a BS in Psychology at The George Washington University in Washington DC. He also attended Law School at New York Law School in New York, NY. He holds Life and Executive coaching certification from The Coaches Training Institute (CTI), CPCC, and in 2012 he received certification as Professional Certified Coach (PCC) with the International Coach Federation (ICF). Building on her own passion, potential and goal fulfillment, Marsha Haygood founded StepWise Associates, LLC after a 25+ year career as an Executive in the corporate world. In starting her company, Marsha created a career and personal development consultancy with a clear mission: to offer professional and personal guidance to individuals, corporations and small business owners through coaching, facilitating self-exploration, and motivational speaking. She is featured in a leadership book entitled Speaking of Success along with bestselling authors, Steven Covey, Ken Blanchard and Jack Canfield. She collaborated on her second book which offers wisdom and career guidance to women of color. The Little Black Book of Success: Laws of Leadership for Black Women was released by Random House in March 2010. 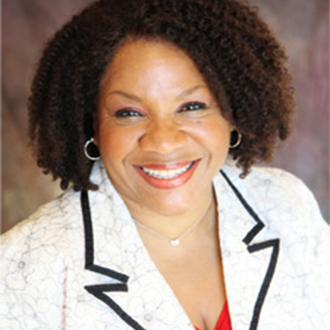 Marsha is the Co-founder of Leadership Excellence and Development Strategies, LLC (LEADS) and is one of the founding members of Black Women of Influence (BWOI). Marsha possesses a Bachelor of Arts degree in Psychology and Education and Certification in Training and Development. She has won several awards for her work in the community and is a frequent speaker at conferences and trade associations. Samantha Speis (Dancer/Senior Artistic Associate) is a movement artist residing in Brooklyn, New York. 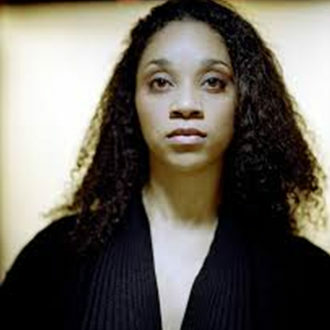 She has worked with Gesel Mason, The Dance Exchange, Deborah Hay (as part of the Sweet Day curated by Ralph Lemon at the MoMA), Marjani Forte, Pearson/Widrig Dance Theater and MBDance. She was the 2012 recipient of the Alvin Ailey New Directions Choreography Lab, and had seven weeks to teach and explore process with Ailey students. 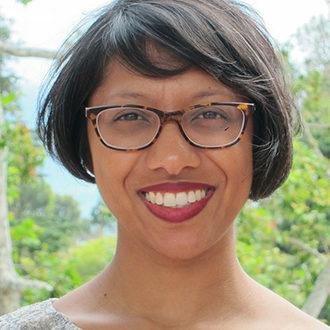 Her work has been featured at the Kennedy Center (Millennium Stage), Long Island University, Joyce SoHo, Hollins University, Danspace Project, Dixon Place, Dance Place, and The Kelly Strayhorn Theater. Speis’ solo, The Way it Was, and Now, was commissioned by the Jerome Foundation to be performed at Danspace Project for the Parallels Platform Series, and was later invited to the Kaay Fecc Dance Festival in Dakar, Senegal. Speis has been a guest artist and taught workshops throughout the United States, South America, Senegal, and Europe. Upcoming projects include Liz Lerman’s Healing Wars and Jawole Zollar and Liz Lerman’s Blood Muscle Bone: the anatomy of wealth and poverty. This is Samantha’s sixth season with UBW. Tim O'Brien teaches leadership and adaptive change at the Harvard Kennedy School. He researches human development and leadership education at Harvard’s Graduate School of Education. Tim is also a leadership consultant for INSEAD’s Management Acceleration Program. 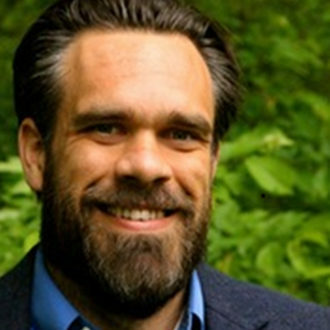 Tim’s research explores adult development, leadership theory, and experiential learning. His teaching, training and consultancy practice is built on the fundamentals of his research - that all people and organizations can learn and develop with the right balance of supports and challenges. Tim directed sail training programs on traditionally rigged schooners for four years in the Atlantic and Caribbean and has a 100 ton captain’s license. This Round of ALACI was made possible by funding from the Doris Duke Charitable Foundation, American Express and New York Community Trust. Launched in March 2015, the pilot Round of ALACI included 16 arts leaders from Arizona, Rhode Island and the Greater Washington DC area.